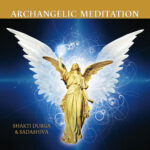 Feel the healing angels working at a cellular level as you listen to Shakti Durga’s blissful Angels of Light, singing discourse. In this meditation Shakti Durga takes you inside your body, right into your DNA, to experience deep physical healing, releasing any cellular activity that’s not for the body’s highest good. Recorded at the Abode of Peace on the 10th of April, 2016.